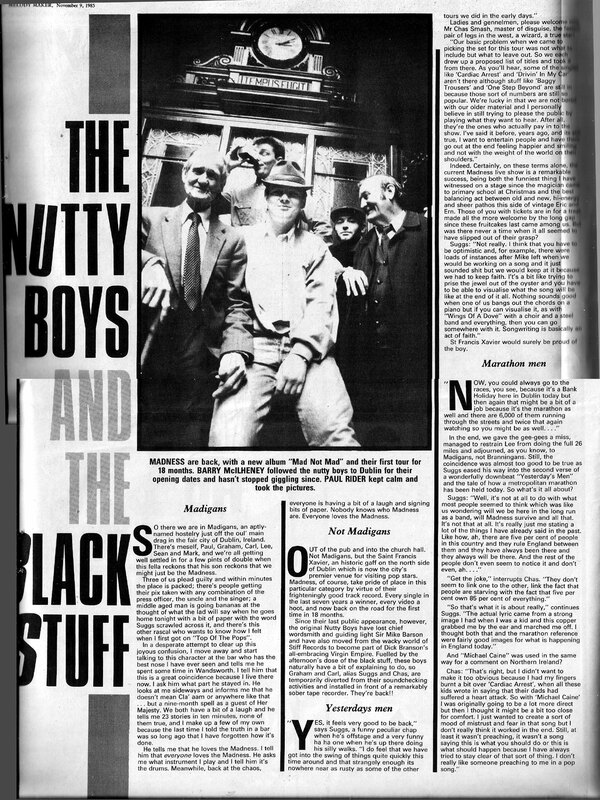 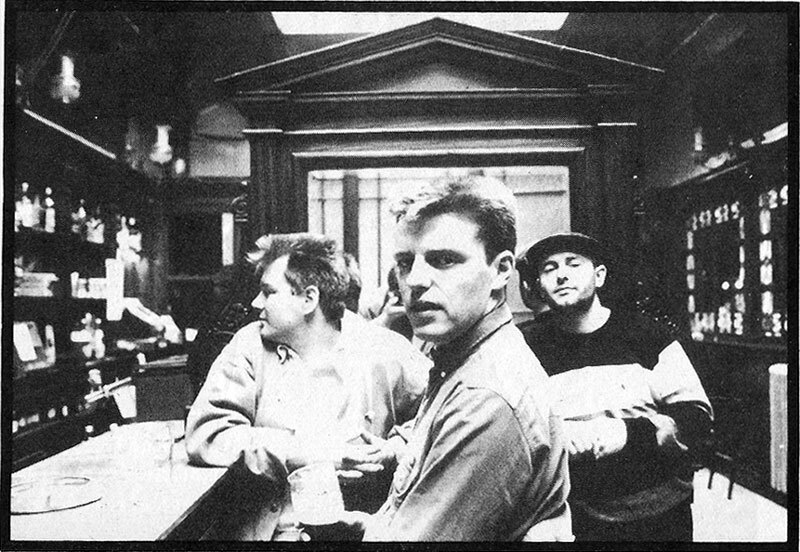 Photos scanned from Melody Maker, and snapped by Paul Rider at Madigans Pub, North Earl St, Dublin 1, on Monday 28th October. It was a Bank Holiday and Marathon day in the city. 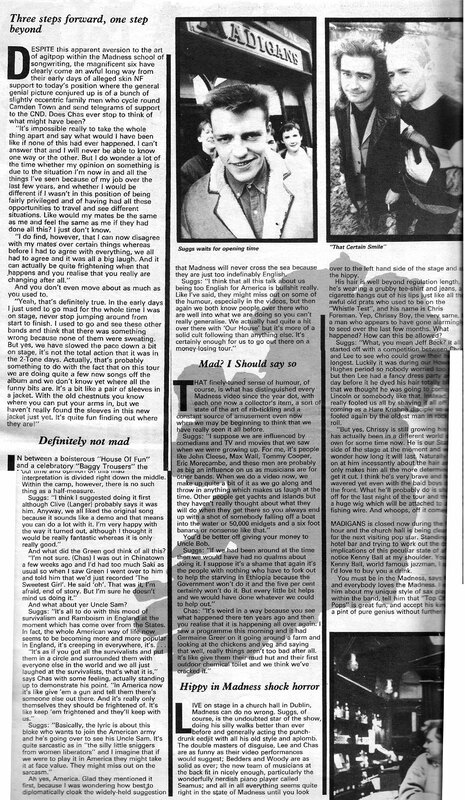 Madness were playing that night at the nearby Saint Francis Xavier (SFX) hall, described in the article by Barry McIlheney as “the city’s premier venue for visiting pop stars”.